Here are two instances where I found that setting the computer name via System Preferences > Sharing > Computer Name does not really set the HostName attribute. The macOS version is macOS High Sierra version 10.13.6 in both instances below. I got a brand new MacBook Pro which had the following settings under System Preferences > Sharing. The HostName attribute is not set! I was working on a friend's MacBook Pro who had some other HostName already set (perhaps someone else had configured it for him). 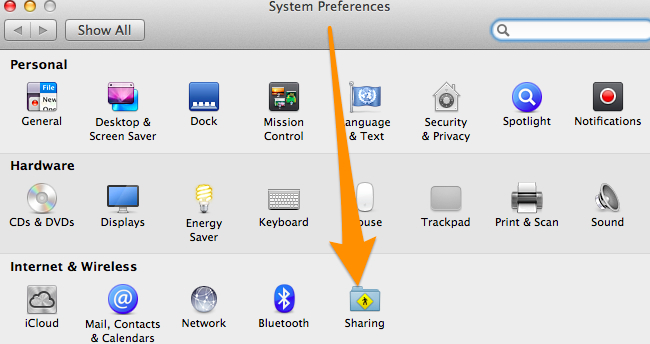 He had the following settings under System Preferences > Sharing. I know that I can set the HostName attribute with the scutil --set HostName luke command. My question is: Is there a macOS desktop UI element where I can view or edit this HostName attribute without having to run CLI commands? There's no place in the GUI to change it, because it's typically set by an external source. At some point, your Mac didn't exist as a DHCP mapping or DNS entry on your router. When it connected, it sent a request which included it's preferred hostname along with a request for an address. That preferred hostname defaulted to your LocalHostName as the first two conditions would have returned nothing. When you got the address, it "registered" that hostname with an IP. Now, you want to change the name, but it keeps coming back to the original host - this is because the router now "knows" your machine has having that name and will overwrite it per DNS (which takes priority). That name is coming from your DHCP Server and/or DNS chache. If you want to clear that out and set a new one, you'll have to do it at the router. Untested but according to this articled titled: How to Change Your Computer Name on Mac OS X you can change the hostname under the System Preferences. After make the above change, you'll want to make sure and restart the terminal so that the above change gets picked up. Not the answer you're looking for? Browse other questions tagged macos network high-sierra sharing system-prefs . How to change the ad-hoc WiFi name in OSX? Why is my host name wrong at the Terminal prompt when connected to a public WiFi network? How to change computer name so terminal displays it in Mac OS X Mountain Lion? How can I prevent hostname from changing?